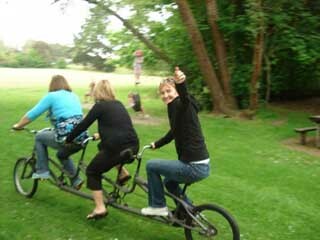 A favourite with all the boys, suitable for both old and young ones, the big ones might find the pedals a bit close. Its impossible to get off after riding this without having a huge smile, it is a bit wobbly to start riding but most people figure it out pretty quickly, it's also a bit wheelie prone. 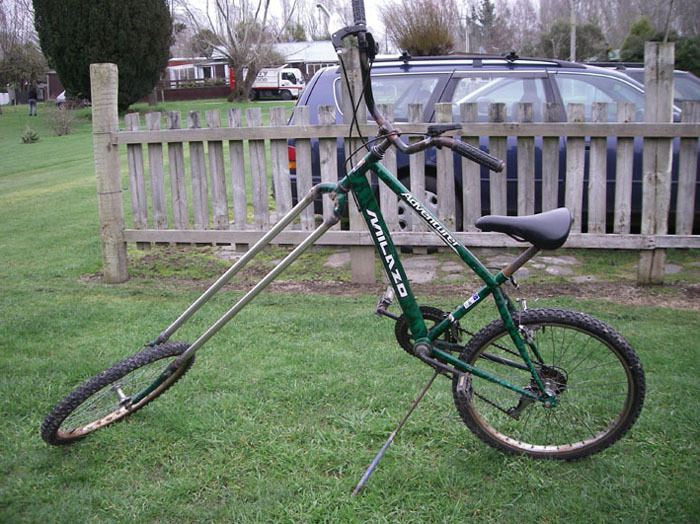 Its so popular I have been told I have to build an adults chopper and a smaller version!!! !